This PDF pattern is for a mini quilt that finishes at 19 1/2" x 19 1/2". 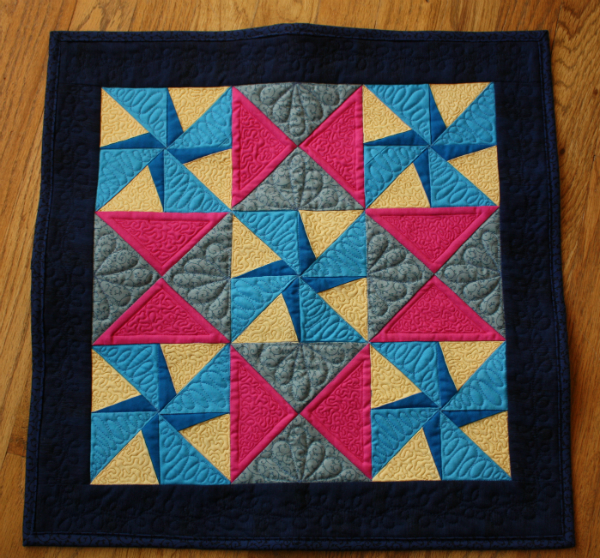 It is made with both traditional piecing and foundation paper piecing. The pattern includes a colouring page to help you decide how you want to arrange the fabrics in your quilt. If you want to make the quilt larger, simply make more blocks...four blocks in a 2 x 2 setting would make a great baby quilt!